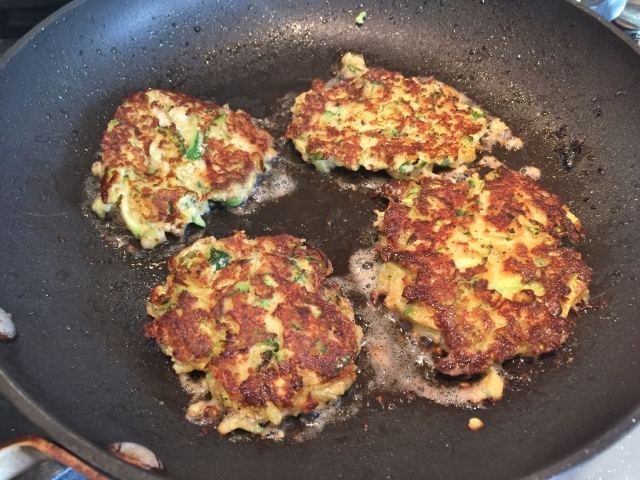 Zucchini Cakes with Smoked Salmon - Recipe! - Live. Love. Laugh. Food. 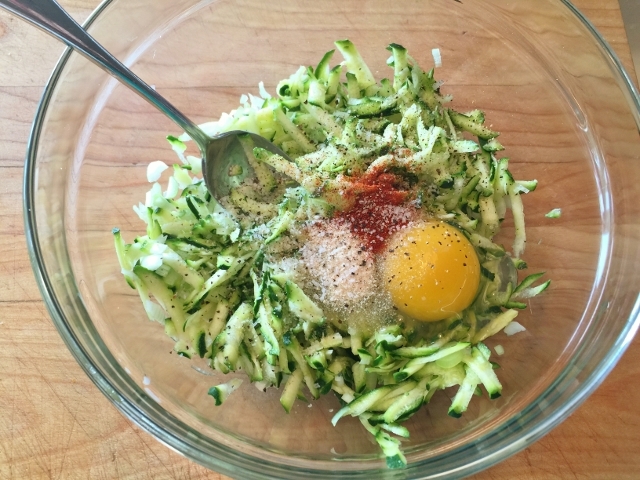 Zucchini is everywhere right now and those of you with spiralizers, must be going zoodle crazy. I planted my zucchini in June, but this time I put it in a big wine barrel instead of my garden, big mistake, no zucchini. So, a few days ago I went and purchased a new seedling and put it in the ground with my other vegetables – wish me luck. That being said, there is zucchini readily available at every farmer’s market or grocer, so you don’t need to grow your own for this recipe. 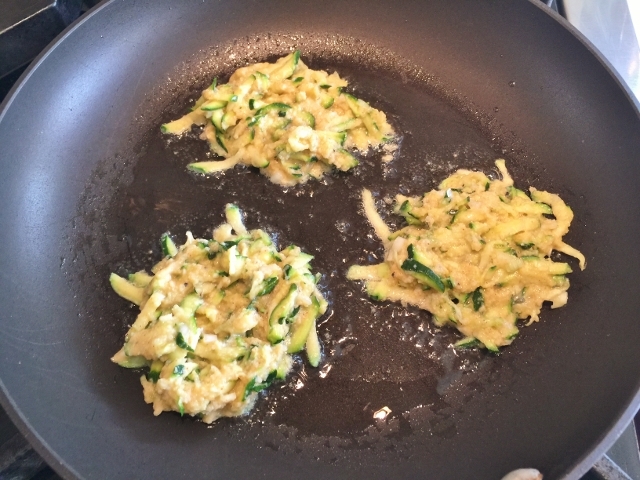 Zucchini is a fairly versatile vegetable, other than spiralizing, you can slice, dice and cut it into strips to saute, roast or grill over hot coals. 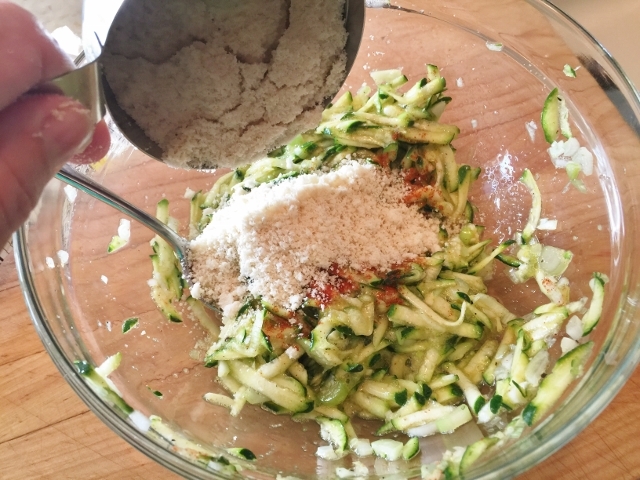 I particularly like to shred zucchini and form it into patties or cakes. 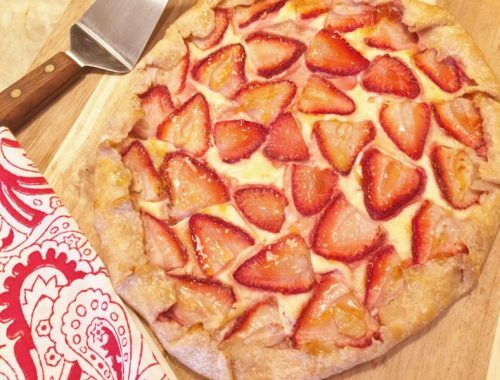 These cakes are soft and supple with a crunchy exterior, which makes them more than capable of holding delicious toppings. Smoked salmon and a dollop of spiced yogurt or sour cream is what comes to mind when I think of zucchini cakes, my summer’s version of buckwheat blini’s and caviar. Store-bought smoked salmon with these cakes adds a bit of fun on top. 1. Grate zucchini and finely mince scallion and garlic. Place vegetables in a bowl, along with onion powder, smoked paprika, salt, black pepper and egg, stir to combine. 2. Add almond flour to vegetable mixture and stir to combine. Next, squeeze in lemon juice and stir. On stove top over medium-high heat, add 3 tablespoons of grapeseed oil to a non-stick skillet. Dollop zucchini mixture into 3-inch rounds and cook for 4 minutes, or until dark golden brown. 3. 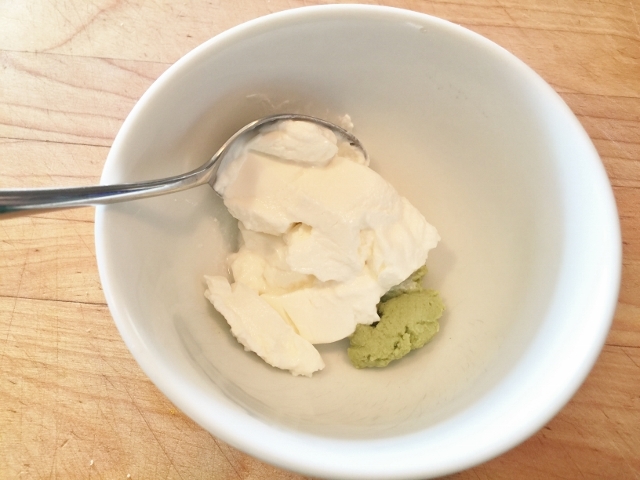 While zucchini cakes are cooking, combine wasabi paste and Greek yogurt in a small bowl. Stir cream mixture until smooth. 4. Flip cakes over and cook other side until golden brown, about 4 minutes. Remove cakes from skillet and place on a plate, cook remaining cakes. Add more grapeseed oil to pan before starting second batch. 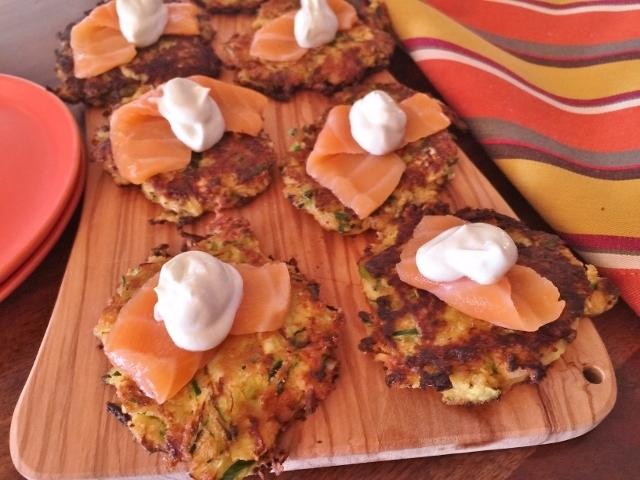 To serve, place zucchini cakes on a board or platter and top with a slice of smoked salmon. 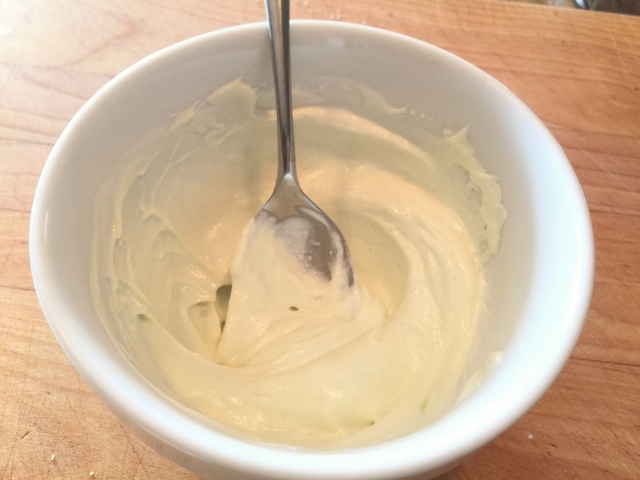 Dollop with a teaspoon of wasabi cream. Enjoy! 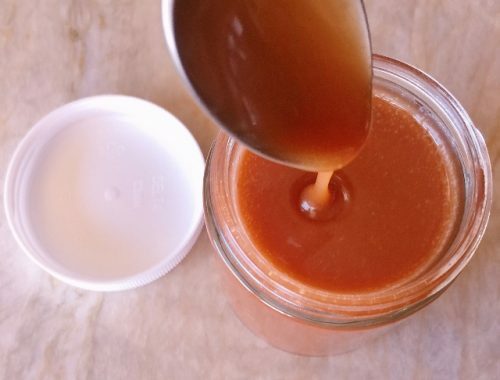 Bourbon Salted Caramel Sauce – Recipe! 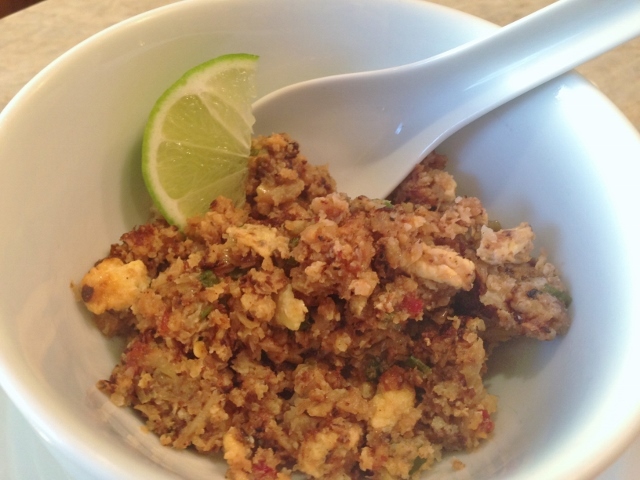 Fried Cauliflower Rice – Recipe! Gluten-Free & Paleo Friendly!